Back in 2010/11 while fishing a locaI club water I met someone who would become a friend as he walked around the lake I was fishing. We got chatting about the lake and the club and the waters he had been fishing. 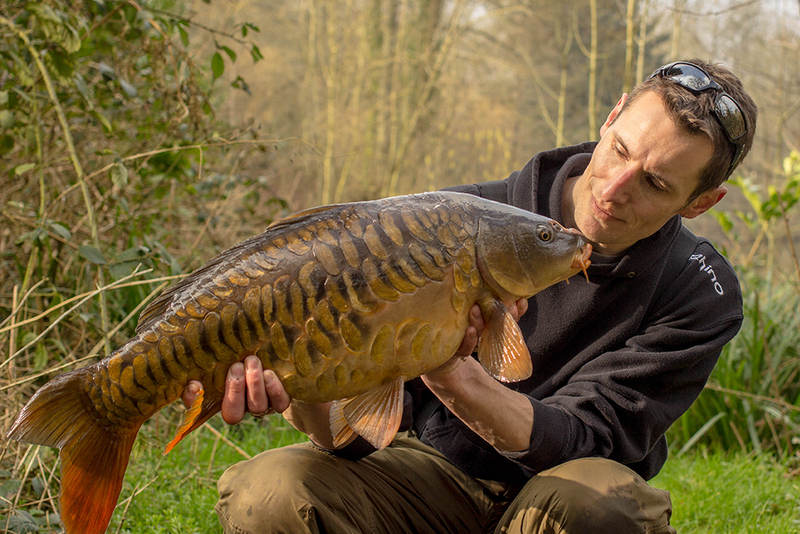 On both that occasion and several times after, he would tell me about one of the beautiful lakes in his club called Busbridge and more importantly, the biggest fish in the lake, a fish known as "Big frame" which typically weighed around the mid 30lb mark. The 5 acre lake was part of an estate dating back to the 1600's and in more recent times was part of a monastery until purchased by the club. The "original" stockings (of which Big frame is one) were conducted in 1966 and those fish are estimated to be around 60+ years old! Looking around the lake for the first time, I was drawn in by it straight away. 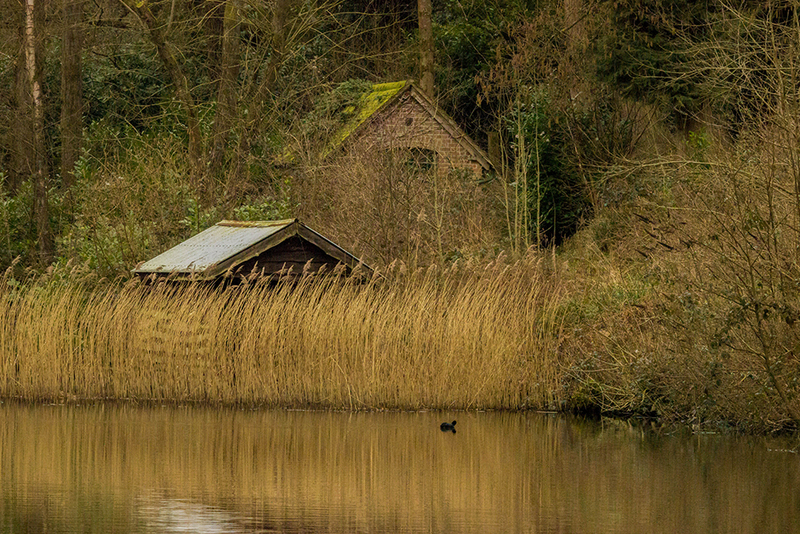 It is a long narrow lake with plenty of overhanging trees and clean margins with a dam at one end and at the other end a big set of reeds next to an old boathouse and an out of bounds area where water feeds in from a lake higher up in the valley. It was as good as I could have hoped for. The only flies in the ointment were that it was about a half an hour drive in good traffic but leaving in the morning the A3 Guildford bound was a nightmare. Also you had to book on and collect a night ticket from a nearby house which meant going up a very steep single track hill and then come back down the hill to the lake then return the ticket when you left in the morning. This was a stressful and potentially dangerous 2 minute journey. I have never before set out to target one fish because life it too short and in truth I just like catching carp, but this particular fish has been caught from all around the lake over the years so there is no real pattern to go by either. 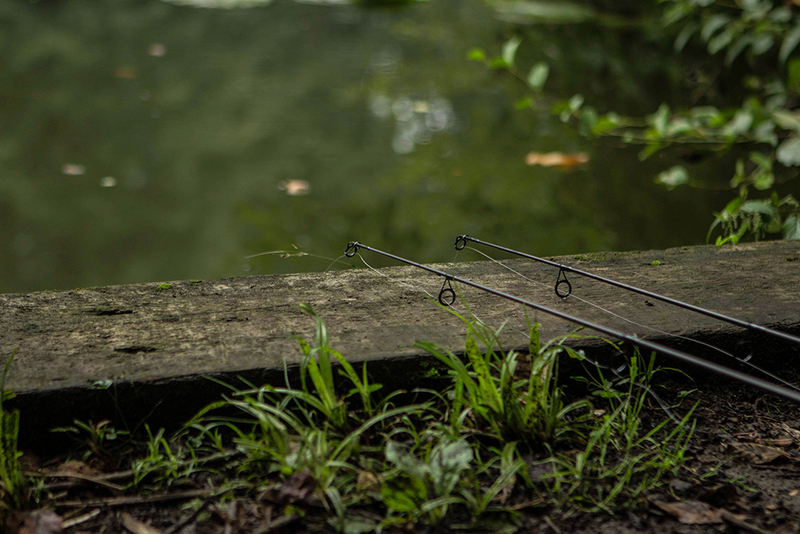 There were club rules to consider when trying to plan my attack, the usual suspects like barbless hooks weren't an issue but no wading, no pre- baiting and no fishing consecutive nights were more frustrating. This lake has a number of matches held on it so my thinking was that the margins would be the best plan of attack because the fish are probably used to seeing bait tipped in at the end of a match so that was my starting point. 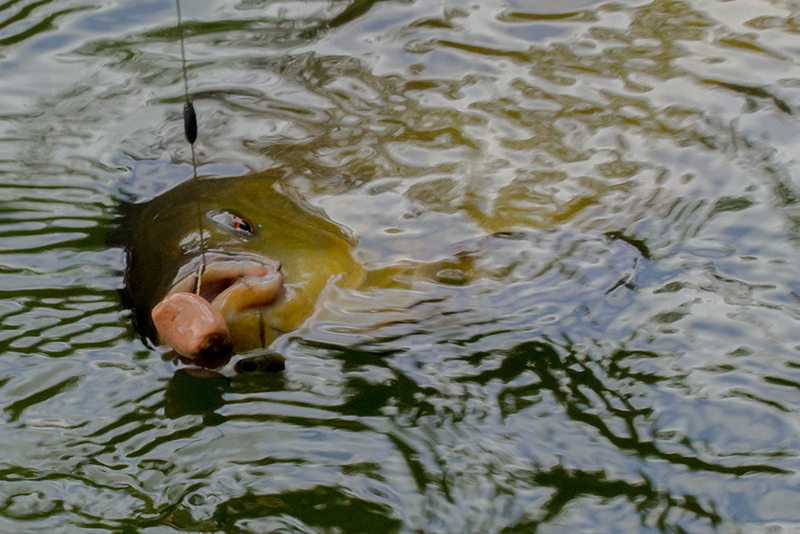 Very early on I learned that there was a huge head of bream and tench in the lake and so the biggest issue I faced was keeping a bait in the water long enough for a carp to come across it. big baits halted the bream, but not the tench! Nut baits were out of the question as like with many clubs, they are banned. Small baits would almost certainly catch me more tench and bream so I had no other option really than to go bigger. I tried 18mm baits and even snowman presentations using 18mm bottom baits with 15mm pop ups but despite catching less bream, I still caught plenty of tench. I had to wait until the 5th August for my first carp, a 14lb 10oz mirror. 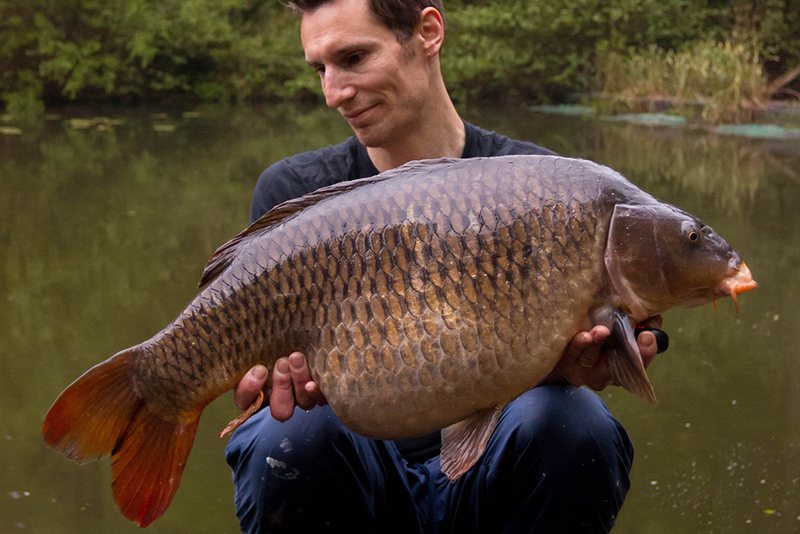 While no 'looker', and a bit smaller than I would have liked, it was a carp no less. 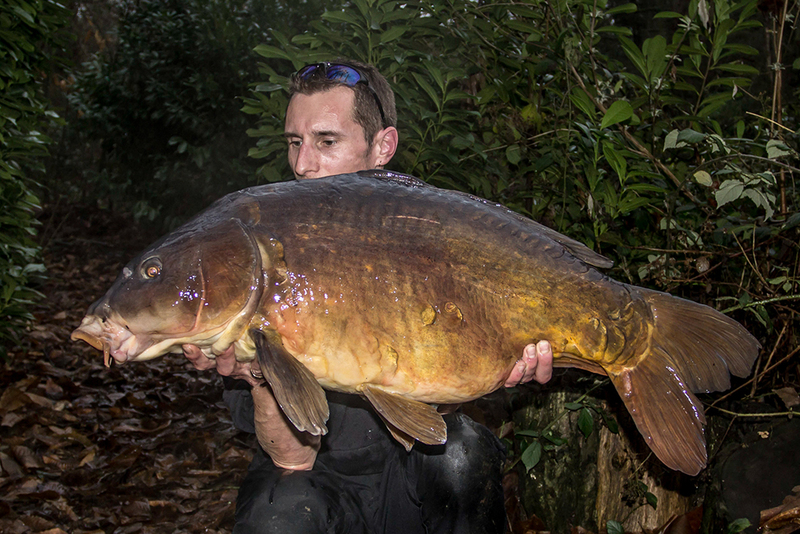 By the end of the year I had taken my tally to 5 carp up to 19lb 8oz fishing one night a week. 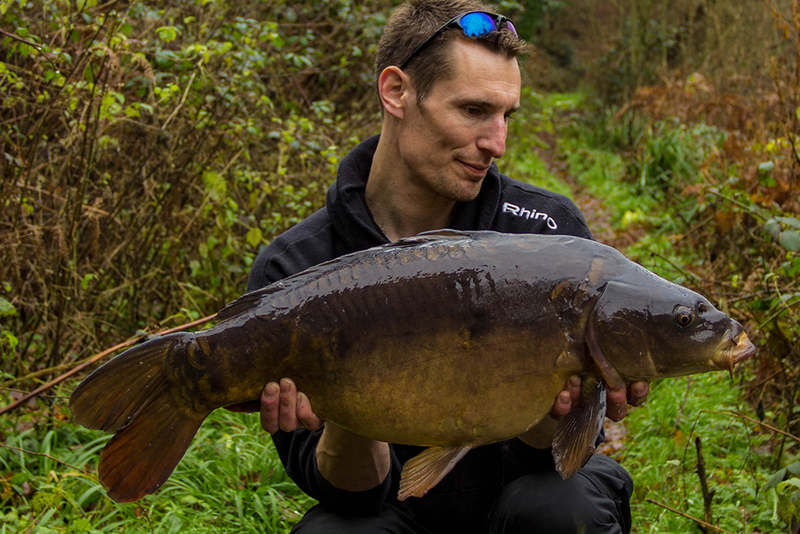 In late february 2016 I managed my first carp of the new year - a zip linear around 14lb, then a 15lb 12oz mirror in March, and a 21lb mirror in April. It was going well but I hadn't managed one of the bigger ones yet. Roll on to the 10th of May at first light and as I lay on the bedchair looking at the rods, my right hand rod lurched around and the Delkim let out a frenzy of bleeps. I was onto it quickly and had to give the fish some stick to get it away from a snag to the right. Luckily my trusty old mark 1 sniper won the day and the fish was netted. At 25lb it was the biggest one so far and a lovely proportioned common. Another couple of small fish were added before the end of the season putting me on 12 for the season which I was quite happy with. The 2016/2017 season was a complete right off due to the birth of my first child and a handful of short day sessions only yielded one carp although at 20lb 6oz, it was a better one. Because of my lack of fishing opportunities in the previous season I didn't renew my ticket for 2017/2018... That was until August when my daughter turned one, and I just couldn't walk away having not had Big frame. I contacted the club, and they kindly let me rejoin late without any late joining charge. Almost straight away I had success on my return with a lovely clean scaley 14lb 14oz mirror then in September a 17lb 10oz mirror fell to my rods. As a new parent I was still struggling to get angling time and I couldn't get out every week as I had before and then in November I had to go away to Birmingham and work at the motorcycle show for two weeks. The second week of December saw the lakes freeze over but despite this, I went to the lake for a look around and managed to find 3 carp milling around in the out of bounds area (2.5-3ft deep) so after taking a bit of footage of them through the ice, I broke away the ice in the nearest swim up to the foot wide bund that stops you fishing into the out of bounds and fished one rod as close to it (and the carp) as I could. It proved fruitless and then a few days later I was off to France on a work skiing trip for 4 days. 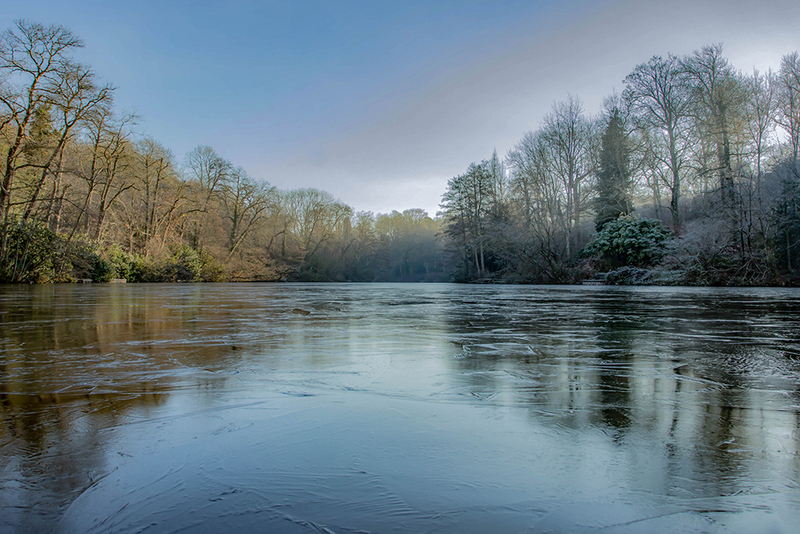 I landed home 21st December and the temperatures had risen and I knew that those carp I had seen would be hungry now the ice had thawed so the next day, I went back for a day session knowing that at this time of year daytime would be the best time for a bite. On arriving at the lake I climbed a tree overlooking the out of bounds divide and I saw an upper double mirror slowly cruising along by a snag. I dropped a couple of whole and broken boilies into the out of bounds tight to the floating bund and within minutes the upper double appeared followed by a significantly bigger mirror that could only be Big Frame. Despite shaking like a leaf at what I had seen, I knew exactly what I needed to do to try and coax them out, so I got myself into the nearest swim to the out of bounds which allowed me a comfortable underarm swing right up tight to the bund just the other side from where they had just fed. Two rods were put along the bund just shy of a rod length apart with whittled down wafters (to better match the crumbed freebies and also release more flavour) mounted on multi rigs made of Tungsten loaded semi stiff fished helicopter style with 1 ounce leads to combat the silt and a handful of crumbed boilies thrown over the top with a baiting spoon attached to a spare landing net handle. About an hour had passed when I saw the line lift in the water and before the alarm had even let out a second beep I connected with a carp which I had to very quickly pull away from the bund before it swam under. I netted the upper double mirror I had seen earlier (18lb 4oz) and phoned a friend to tell him what had happened. I felt a bit dissapointed that it was only the smaller of the two I had seen but as I explained to my friend, I really felt like another bite was on the cards even though it was only a few days until Christmas. After getting off the phone I made the decision that I had to move. The swim I was in made for easy casting to the spot but if the fish got under the bund, there are wooden stakes dotted along the width just behind it which could spell disaster. The gear was packed up and I moved around to the other side of the lake to the nearest swim where I would be pulling directly away from the bund. I had noticed earlier that Big frame seemed to be more interested in eating the smaller broken bits of boilie rather than the whole or bigger pieces so with this in mind, I broke up a boilie and a matching pop up and put a small piece of each on to the multirig so it was less blatant than a whole boilie then cast it out to the spot. Luckily for me it landed perfect first time so I didnt put the second rod out as I didnt want to risk messing up the cast and cause too much disturbance. After about 20 minutes I recieved a slow pick up and without issue, brought the fish away from the bund and reeled it straight in. As it rose up to the surface close in I saw the side of it and there in all its glory Big frame! Maybe it was the cold water but the fight was surprisingly tame and I had no issue netting it. Even on the bank she behaved impeccably. The sling was zero'd and she was weighed in at a very healthy 36lb. I was very quickly losing the light and I really didn't want to keep this old fish out any longer than neccesary so I quickly rattled off some shots using two Rhino beams on banksticks to help light the scene up a bit and then I released this most special of prizes back to her watery home. Ten minutes later the bailiff appeared and I could barely talk and was still shaking. It had finally come together, Merry Christmas!!! The target finally in the net! A big, gnarly old mirror! There were a couple of good fish that I still fancied so I did stick it out the last few months of the season but sadly it wasn't to be and they actually came out to other anglers in that time which killed any hopes I had of landing them. At that point I decided that I wouldn't renew the ticket again. I did manage a couple of 15lb mirrors before the ticket ran out, one of which was a stunning fully scaled that I has filmed feeding in the margins.